Autumn 2011, Melody stole a car (again) and followed her parents to the cornfield, where the Doctor had arrived, having got their "message". Introducing herself, Melody held the Doctor at gunpoint to get away from the police. Demanding to be taken to kill Hitler, Melody shot the TARDIS, causing it to crash into Adolf's office in 1938, inadvertently saving him from the Teselecta. She was then accidently hit by a stray bullet Hitler fired at the Teselecta, forcing her to regenerate; her new form was recognised as River Song by the Doctor and her parents. As programmed, River killed the Doctor, using a lipstick containing an incurable poison. Cheerily calling herself a psychopath, Melody ran amok in Berlin, stealing clothes from patrons at a posh restaurant. The Teselecta (which had taken her parents on board) decided to punish her next, but the Doctor stopped them from harming her. When her parents were in danger of being killed by its antibodies, Melody was suprised to see the Doctor ignore his pain for the sake of saving them. She also became jealous of the "River Song" he kept mentioning, demanding to know who she is. However, the Doctor had her pilot the TARDIS (which taught her how) to save Amy and Rory. Melody then agreed to give a message to River Song from the dying Doctor, and he whispered it in her ear. Asking who River was, Amy had the Teselecta turn into Melody's new incarantion. Melody realised that she was the person the Doctor kept calling for help. Amy asked Melody what the Doctor whispered in her ear. Instead of answering that question, Melody asked her parents if the Doctor was "worth it." Upon being told "yes," Melody reawakened the Doctor and kissed him, using all her remaining regenerations to bring him back to life. She passed out in the process. The River who spoke with Rory is likely an older River than the one who showed up at "the very end". The Battle of Demon's Run and her appearance in it is already in her diary when she speaks to Rory at Stormcage. The TARDIS rerouted a phone call for the Doctor from Winston Churchill to River. She escaped to warn the Doctor of a prophecy of the TARDIS exploding. She blackmailed a Time Agent's vortex manipulator off Dorium Maldovar and stole a painting from Liz Ten showing the TARDIS exploding and space-time coordinates. She graffitied a diamond cliff at the dawn of time with the co-ordinates, then travelled to England in 102 AD to meet the Eleventh Doctor and Amy. The Pandorica lay under Stonehenge, transmitting a signal to summon an alliance of the Doctor's enemies. The Doctor got them to back off and sent River to fetch the TARDIS. Instead, it took her to Amy's house on 26 June 2010. When River told him the date, the Doctor realised the TARDIS was about to explode and told her to escape. (TV: The Pandorica Opens) Unable to leave, she was trapped in a time loop of the first moments of the explosion. (TV: The Pandorica Opens / The Big Bang) The Doctor rescued her in 1996, told her his plan to use the Pandorica's restoration field to reverse the Total Event Collapse of the universe and was shot by a stone Dalek. 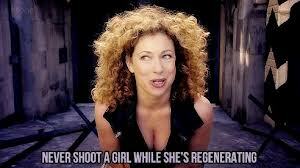 River told the Dalek to look in its data banks for her, taunted it into begging for mercy, then killed it. In 5145, River escaped from her cell in the Stormcage Containment Facility using her hallucinogenic lipstick, after receiving a phone call saying that the Doctor needed her help. She located her vortex manipulator and used it to travel to London in 2012 where she rescued her stranded husband. She helped the Doctor fight off Cybermen, Daleks, Silents, and Silurians in different eras of London; each had a piece of the fabeled Eternity Clock to fuel their plans against humanity. She and the Doctor collected the pieces and brought them back to the TARDIS, which was at the heart of a temporal storm being caused by the Eternity Clock pieces trying to pull themselves together. River arrived in 1938 New York City via her vortex manipulator (TV: The Angels Take Manhattan) and set up the Angel Detective Agency where she was the sole employee, investigating the Weeping Angels' invasion of New York. During this time she went by the alias "Melody Malone." She was there for at least a month before a man named Rock Railton hired her to investigate what he feared to be a murder plot against him involving "the kiss of an angel." The following day, while attending a Starlight Studios party, she encountered an old man claiming to be Rock Railton, but believed him to a bum. When she encountered the man she recognised as Rock, he had no memory of their meeting in her office the previous day. After dealing with two thugs that were hired to kill her, River returned to her office only to receive a call from head of Starlight Studios, Max Kliener. She agreed to meet him at his studio the next afternoon, where she was reintroduced to Rock, who claimed to remember their prior meeting. However, River knew he was lying when she asked about giving him coffee and he pretended to remember this although it never happened. She also noted that Giddy Semestre, Rock's co-star, also did not remember meeting her the day before at the party. Max then led River down a block from the main studio and revealed to her a room full of giant bell jars filled with what appeared to be clones of Rock Railton, Giddy Semestre, and of Max's bodyguard, Hank Sissy. Max explained that they were not clones so much as everyday people who had had their flesh redistributed in their bodies to make them look identical to their template bodies. To do this, he had used "the kiss of an angel." The duplicates did not live very long, however, and were in fact growing old and dying out faster and faster because the Weeping Angel he was using to create his duplicates was growing stronger and therefore absorbing more and more of the victims' energy. Max planned to transform River into a copy of Giddy Semestre, but River kissed him using her hallucinogenic lipstick and managed to escape by killing the Hank copies and pushing Max into the arms of his Weeping Angel, who kissed him and turned him to dust. After River's run-in with Max Kliener and his Angel, River met her husband in Manhattan, along with her parents. Rory was sent back in time to 1938 New York City by one of the Angels and met River. Amy and the Doctor had difficulty following him since all the time energy the Angels had consumed made time travel difficult. With the help of a Chinese vase as "landing lights", they managed to get through but found River trapped in the grip of one of the Angels; she had to break her wrist to escape and the Doctor used up some of his regeneration energy to fix it. Rory was locked in a cellar with a group of baby Weeping Angels but instead of sending him back in time, they just sent him to Winter Quay. When River, Amy and the Doctor found Rory, they also found an older version of him, dying in a bed. After that they heard loud thumps, made by the Statue of Liberty, which had become a Weeping Angel. With the Angels closing in, River, her husband and her parents were forced to flee towards the roof and got separated on the way up. The Statue of Liberty was waiting for them and Rory and Amy decided to sacrifice themselves to create a paradox which would poison the Angels food source and kill them. River and the Doctor watched in horror as Amy and Rory threw themselves off the roof, and the paradox killed all the Angels except one, who somehow managed to survive. The group found themselves in a graveyard that had a gravestone with Rory's name on it. As they were preparing to leave, a surviving Weeping Angel ambushed them and sent Rory back in time. Because of the paradox, and all the poisoned time energy, the Doctor couldn't take the TARDIS to find him. Amy decided to allow the Angel to touch her so that she could be with Rory. After a tearful goodbye to River and the Doctor, Amy turned away from the Angel and allowed it to touch her so that she could live with Rory for the rest of her life. In the 51st century, River was hired by Strackman Lux for an expedition to the Library to learn what had happened there a hundred years earlier. 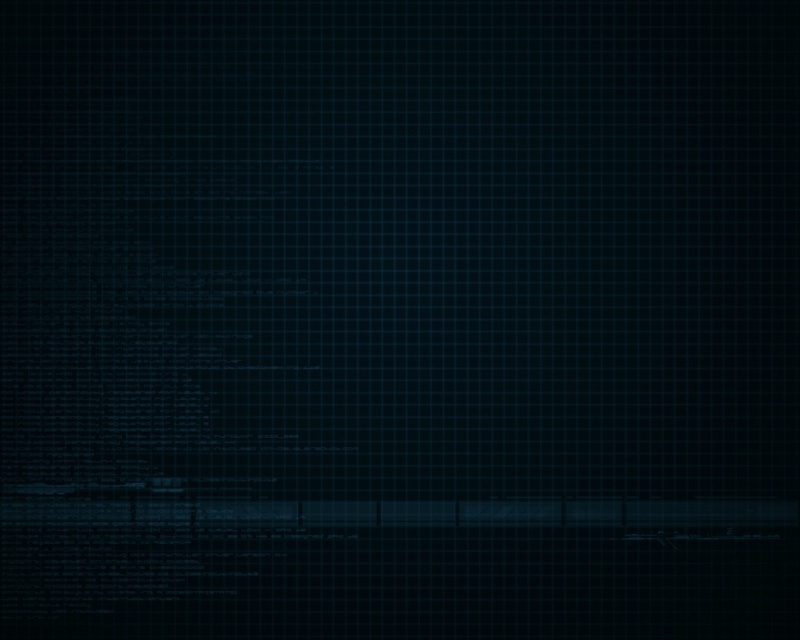 A cryptic message had been sent: "4022 saved. No survivors." Expecting trouble, she contacted the Doctor by psychic paper. The version of the Doctor who turned up, then in his tenth incarnation, had not yet met her. Bewildered, he agreed to help River's team. As the threat of the Vashta Nerada worsened, River knew she must prove she was someone he would come to trust completely. With profuse apologies, she whispered his true name into his ear. The Doctor was stunned and River had won his trust. After River's death, she, Vastra, Jenny, Strax and Clara were brought into a dream-induced "conference call". There, she learnt that the murderer, Clarence DeMarco, had said "The Doctor has a secret, you know. He has one he will take to the grave. And it is discovered." and showed Vastra the co-ordinates to where the Doctor's tomb was. The Great Intelligence, having kidnapped Vastra, Jenny and Strax, told Clara to take the Doctor to Trenzalore, the place of the Doctor's death, if the others wished to be saved. River kept in contact with Clara through keeping the link open, though only Clara, and unknown to River, the Doctor, could see and hear her. When Clara and the Doctor arrived at a gravestone bearing River's name in Trenzalore, Clara again saw the echo of River, which guided her. She also explained to Clara about her death and what the Doctor did for her, and later saved the Doctor's friends by giving in to the Great Intelligence's demands and opening the Doctor's tomb by saying his name.